Bitcoin FOMO buying is back! What’s behind the Big Pump? These are exciting days in the crypto market: two days ago, finally, Bitcoin broke out from a long period of accumulation. 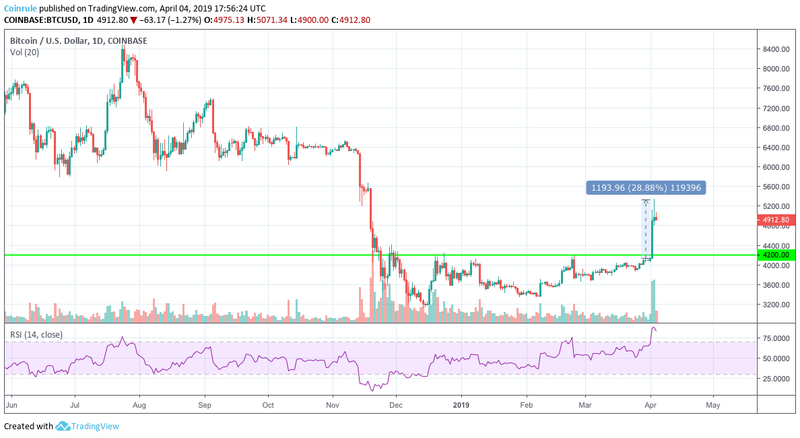 After the severe drop that occurred in November, Bitcoin price found a solid resistance around 4200 USD. A series of higher lows highlighted an underlining strength in the market, and finally two days ago buyers outpaced sellers pushing the price 20% up in a matter of minutes. 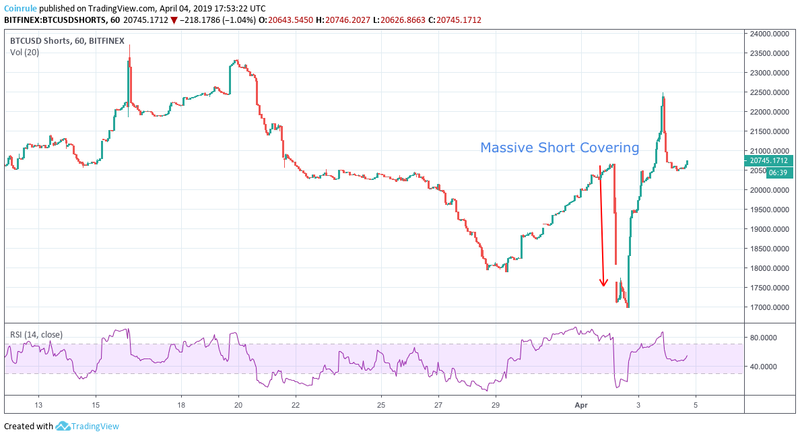 That represented a very extreme event, and one of the main catalysts of such a strong move was caused by a massive number of stop-loss orders triggered on the short positions in place. A considerable number of traders established their short positions right below that 4200 price resistance assuming that the trade could provide a good risk-reward ratio. This is a very common situation and makes it easier to explain, once more, the importance of “technical” price levels. When a significant share of the market takes a short position (actually traders SELL, expecting that the price will fall soon, so it will be convenient to buy back at a lower price), this situation leads to high instability, and it becomes hazardous to join an already “crowded” trade. If the pressure from the buy-side increases unexpectedly, the market is flooded by buy orders from those willing to take advantage of the price spike. Soon after, new buy orders reach the exchange books which are the orders automatically sent to the market to close the short positions to avoid more losses. This extreme buy-rush mixed with the fact that very likely few market participants will be willing to sell in such a strong uptrend are the ingredients for the typical recipe for a market big pump. Of course, the same can happen the other way around, when most of the traders are too optimistic about the strength of the uptrend. Now that the market reacted by FOMO-buying Bitcoin like we haven’t seen for a long time, the question is whether this is a clear sign of the reversal of the downtrend in Bitcoin and Altcoins. One of the leading indicators that would point to that is the mood of the market that seems changed in the past months. In 2018, even the slightly negative news was interpreted as “very bad news”, becoming the reason for a sell-off. On the opposite, since the start of 2019, positive news about the development of a broad crypto ecosystem are released now more often, and that contributes to feeding the optimism of traders and investors. In the past weeks, at Coinrule we identified the possibility that Bitcoin could have experienced a strong price pump soon and that would have turned into a buy-opportunity for altcoins. We posted on our Twitter account the below trade idea on March 19th. What happened was that a powerful jump of the BTC price caused a sell-off among Altcoins, simply because selling Alts for BTC at that moment provided a more profitable opportunity in the short term. Few hours after the price spike on BTC, altcoins started to overperform BTC pairing the losses. That means that buying into the panic sell-off your favorite coins would have turned into a very profitable trade idea. 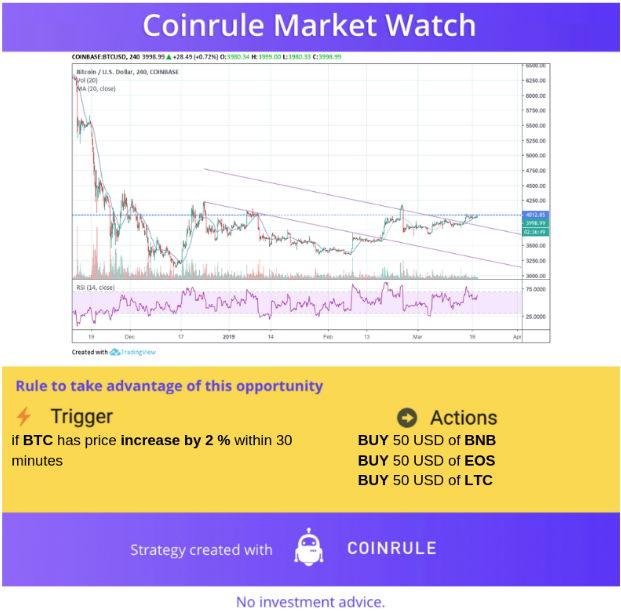 A perfect situation where an automated trading strategy, like a rule created with Coinrule, would have been very useful! Bitcoin supreme pump finally came, now what? To read more about new opportunities that the market could offer continue reading on our BLOG. and join our Community on Telegram!